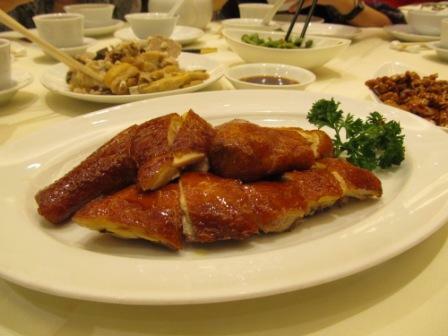 Hong Kong Cantonese food is like a melting pot of different cuisines. The origin of many Chinese restaurants dishes in the world. You step into a restaurant and open up their menu. It's very easy to find sauteed vegetables, steamed fish, sweet and sour pork, roasted pork, steamed egg and so forth. 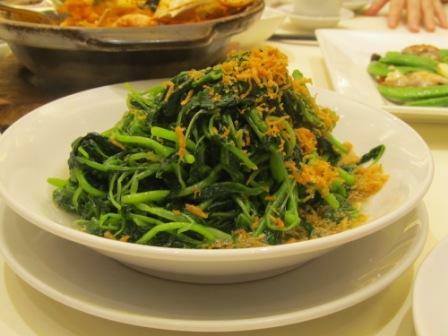 Many of these Hong Kong Cantonese food dishes can be prepared at home easily. It is like a fashion trend. 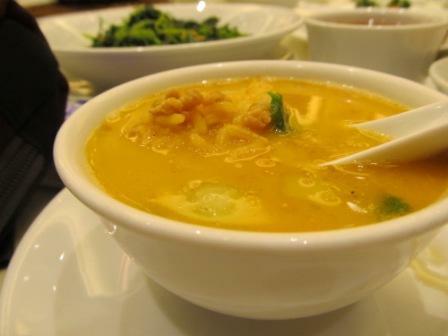 If there is one dish very popular in a period of time, every Hong Kong Cantonese restaurant would serve it. Of course, some of these dishes will disappear in the menu eventually. But there are some Hong Kong Cantonese restaurants will keep them. Most of these restaurants serve "dim sum" during the day and regular dinner or their specialty at night. We will talk about "dim sum" (coming soon - link to Hong Kong Dum Sum page) the other time. But I want to share with you some great Cantonese food and restaurants here in Hong Kong. 1) Steamed Whole Chicken - In the western culinary world, this could never exist because the chicken looks so pale, but very flavorful. It always serves along with minced ginger and scallion flavored oil for dipping. 2) Steamed fish - This could be different kind of fish which depends on the seasons. 4) Tofu - Chinese eat a lot of tofu. I mean a lot. It could be steamed, stir-fried, deep-fried or stuffed. 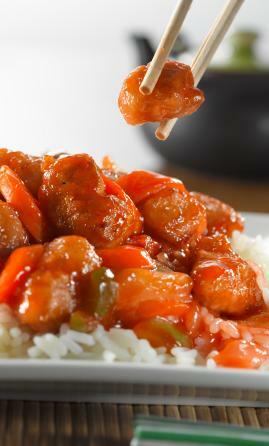 5) Sweet and Sour Pork - A very popular Chinese dishes in any Chinese restaurant worldwide, but no General Tso Chicken. 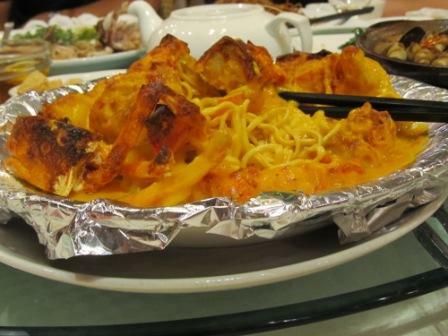 It is basically steamed lobster sitting on top of a bed of noodles of your choice and some melted cheese on top. While the lobster is cooked, the noodles will absorb all the flavor of the juice and cheese. 2) Chinese Salted Fish and Chicken Fried Rice - Who would think that fish and chicken go together so well? 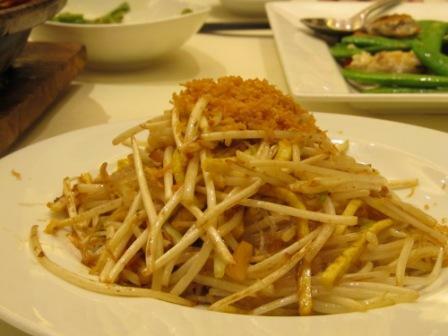 Chinese salted fish is a very traditional family style ingredient. Its smell and taste is very similar to anchovy. It is usually steamed and served with white rice. This dish was so popular in the 1990s. 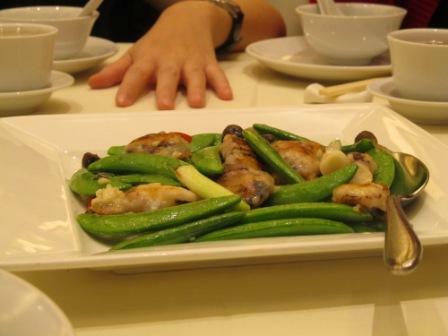 You may still find this Hong Kong Cantonese food in some menus. 3) Citrus and coconut milk - This is a dessert. It has shredded meat of grapefruit, pineapple and tapioca in sweetened coconut milk. Of course, there are more dishes like the above born with the creativity of the chefs which we can't cover all of them. 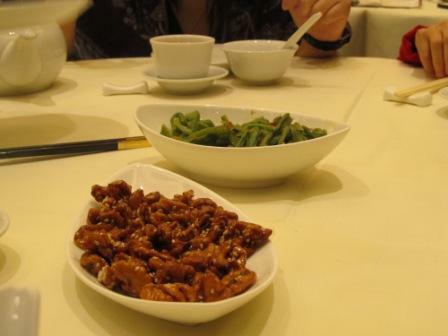 But we bet you get some ideas now.Some recipes of these Hong Kong Cantonese food are available in my blog. Click here. 1) House of Canton - My family used to go to their Lee's Garden branch to have lunch and dinner literally every weekend. Mooncake is one of the big business in Hong Kong during the Mid-Autumn Festival. One time, the lady always served us pushing my mom to buy 10 boxes of them. After that, we started to go to other restaurants and their other branches. I can't deny that their food and services are always great. They have a branch in Festival Walk where you can do some luxury and/or book shopping while you are there. Another branch is in Taikoo Shing. There is a big supermarket nearby. If you love food shopping (Oh, yeah! Why not? ), you must check it out. 2) Congress Restaurant - This Hong Kong Cantonese restaurant is located on the 6th floor of the Hong Kong Convention and Exhibition Centre. This is another place that my family always loves to come. The food, service and the great Hong Kong Victoria Harbour worth every penny. They serve Hong Kong Cantonese food during lunch time and buffet of international cuisine at dinner time. While you are here, always check if there is any convention and exhibition is going on. Many of them are open to the public, such as book shows, food fair and more. Sometimes, there are live concerts. My sister and I came to the Suede, a British band, concert one year. Check out the building if you can. It is the place where the Hong Kong Handover was taken place in 1997. In this area, you can also check out many places. It is surrounded by many 5-Star hotels. It is about 8 minutes walk away from the Hong Kong Star Ferry Wan Chai Pier. The Hong Kong Academy of Performing Arts and Hong Kong Arts Centre are at the other end of the street. There are always some live performance, such as Chinese opera, Chinese orchestra, dance performance, Hong Kong standup comedian shows and many more great entertainment. 3) Lei Garden - This Hong Kong Cantonese restaurant has quite a lot of branch throughout the city. The presentation and taste is always great. Due to the flood of Chinese mainlander tourists, prices of everything has been driven up, so as the food. When we were in the Times Square branch in Oct 2012, one of the dishes used super cheap ingredients but charged ridiculous price. I got to say that it was the only restaurant in my last visit that they did not overcook the seafood. There are a few more great Hong Kong Cantonese restaurants that I love to go to. Due to the economy, they either downsize or close down. So, here are just a couple of them with long history for you. Check back for more update. Check out my blog for more simple recipes inspired by the Hong Kong restaurant food.